Hey Hey! 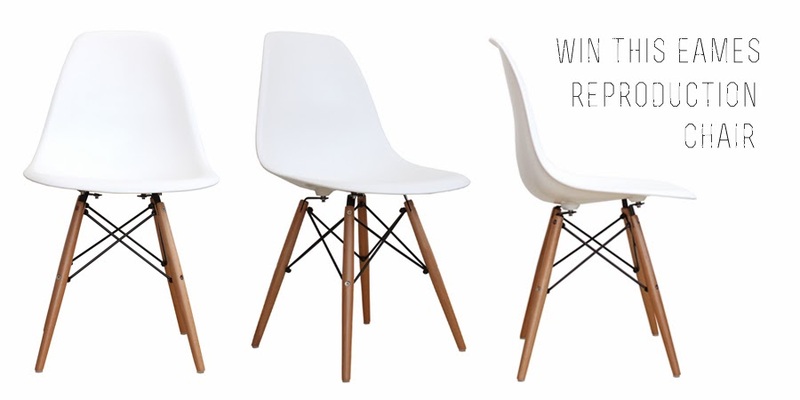 I'm so excited to introduce you to Metro Furniture who are giving away one of these beautiful Eames reproduction chairs (in the colour of your choice) to one lucky reader. Metro Furniture are passionate about mid century design and have a incredible amount of classic design reproductions. This means you get the styles of the designs you love without the price tag. I am currently lusting after this kids Eiffel table and this Florence Knoll sofa (although white sofa's and a two year old don't really mix!). They also have a sale on so you can pick up even more of a bargain, whoop! To enter this give-away just complete one/all of the below and good luck! T&C by entering this competition you are automatically signing up to the Metro Furniture newsletter. This giveaway will run for two weeks and is open to UK residents only. best giveaway EVER! seriously hope i win *crosses everything* - my favourite item is the cognac brown barcelona chair, though obviously i love anything eames! Oh my! Best giveaway ever! It's a beautifully designed chair, aesthetically. Though I do wonder about how long it would last if it were actually used every day. I've always wanted one of these chairs, I love them! a lovely giveaway, thanks Fritha. I like the Kids Eames style Eiffel table which I might keep in mind for Pip's new bedroom! Wowser, I LOVE these chairs and the yellow Butterfly chair! LEITMOTIV FLOW TABLE LAMP IN WHITE!!! I love the Scrapwood wallpaper by Piet Hein Eek. It's so unusual. Love it all but i think the Eames lounge chair is my favourite.